The environmental drive took place on the 13th of August, 2016 at Turtle beach where the idea was to restore the natural habitat for the other living beings such as wildlife and to protect Mangroves Ecosystem in Pakistan. The reason Soneri Bank partnered with the leading wildlife federation in the country, WWF. This day long activity had activities like Beach Cleaning, Mangrove Plantation and educational workshop which taught the participants why mangroves and a clean beach is a requirement. However, plantation of Mangroves is not only beneficial in making our environment cleaner and greener but also acts as a savior against floods and is also beneficial for the mother nature. Mangroves are basically slat tolerant bush type trees which grow in inter-tidal zones of tropical and subtropical areas, river deltas and along the coasts. 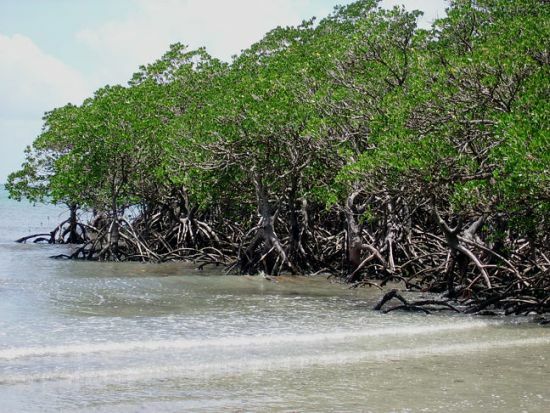 There are some 15.9 million hectares of mangrove forests all over the world. They are of great economic and environmental importance. Pakistani mangroves are located mainly along the delta of the Indus River. Major mangrove forests are found on the coastline of the provinces of Sindh and Balochistan. In Karachi, land reclamation projects have led to the cutting down of mangrove forests for commercial and urban development. But on 22 June 2013, Sindh Forest Department, Govt. of Sindh, Pakistan, with the help of 300 local coastal volunteer planters set the Guinness World through 847,250 mangrove saplings planted at Kharo Chan, Thatta, in a little over 12 hours. This is the highest number of saplings planted within a day under the Guinness World Record category of "Maximum Number of Trees Planted in a Day”. However, brands like Soneri Bank are continuing the legacy and are planting more to save the environment and nature. More what we contributed on twitter that day.